The new song from Harf Cheema and Gulrej Akhtar is a good one. 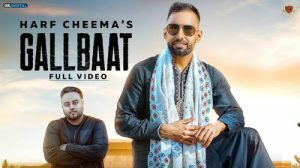 Catch the Gallbaat Lyrics by Harf Cheema & Gurlej Akhtar. The music of this song has been composed by Deep Jandu and lyrics have been penned by Harf Cheema.